The centuries-long conflict is coming to an end. The various clans in the kingdom are making their final plans and are preparing for one final assault. But, when the dust settles, only one group will be in control. 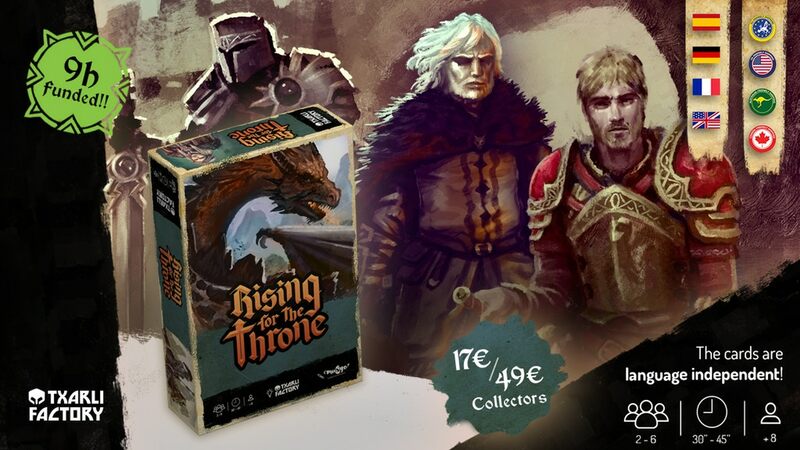 That's what's going on in Rising for the Throne, a new board game that's up on Kickstarter now. The campaign is at a bit more than 2x its funding goal with still 17 days left to go.